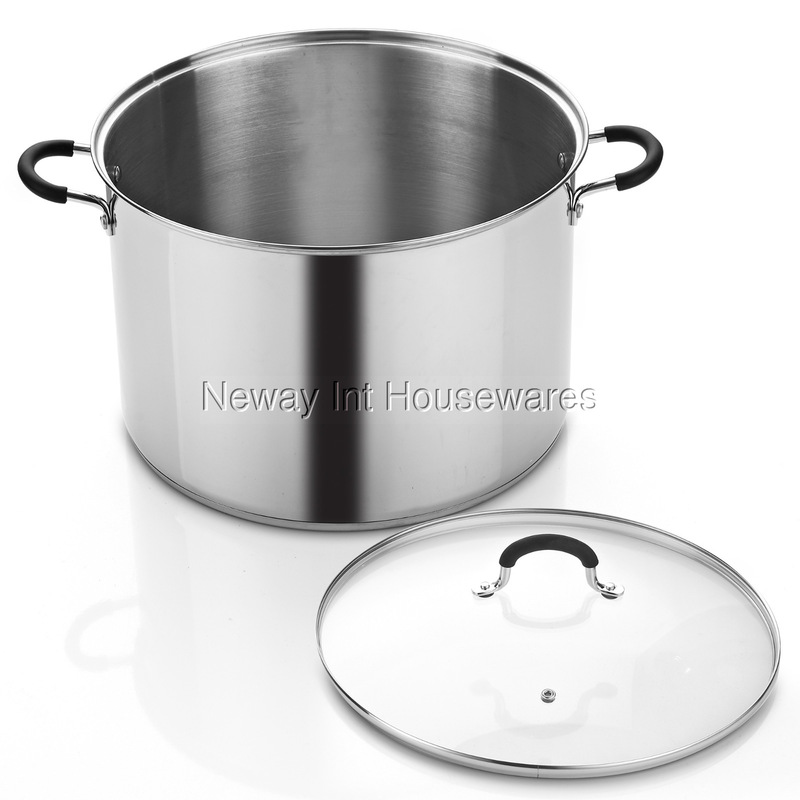 The Cook N Home 20 Quart Stainless Steel Canning Pot Stockpot with Lid is made of 18-10 stainless steel for durability. Aluminum disc layer in bottom for even heat conduction and prevents hot spots. Tempered glass lid with steam vent to view food while cooking. Riveted handles are comfortable and stay cool. Reinforced rim for long heating and can be used for canning and jarring. Induction compatible. Works on gas, electric, glass, ceramic, halogen, etc. Oven safe to 350F. Dishwasher safe.